At Sobriety Home, we're here to help. Drug Rehab & Alcohol Addiction Treatment at Sobriety Home offers a private, secure, tranquil residential rehab with personalized, individual treatment. 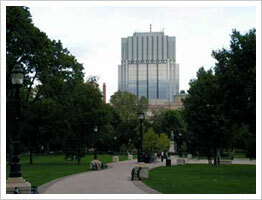 London, Ontario, located in Southwestern Ontario, lies in the Quebec City-Windsor Corridor. 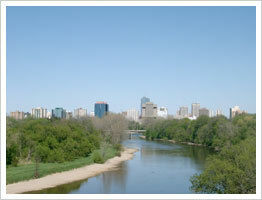 With a metropolitan area population of 457,720, London is the tenth largest Canadian city and the sixth largest in Ontario. It is widely considered an ‘average’ Canadian city. Due to its geographical location, London has some of the most productive agricultural lands in the province. London is currently undergoing growth, seeing both commercial and residential development in the southwestern and northwestern areas of the city. The economy, traditionally, relies heavily on locomotive and military vehicle manufacturing—most notably, of armored personnel carriers. In recent years, however, insurance and information technology have become important industries for the city. Partly due to the University of Western Ontario’s, or Western as it is more commonly known, notable life science and biotechnology research has begun to emerge from the city. In its comprehensive 2003 Ontario Student Drug Use Survey, the Center for Addiction and Mental Health (CAMH) reported that in the previous 12 months prior to the survey, 62 percent of all students consumed alcohol. Cannabis was the next most common drug used among the students with 26 percent. Tobacco (14 percent) and hallucinogens (7 percent) were next most prevalent, while all other remaining drugs, including GHB, together represented less than 6 percent. Overall, 29 percent of students reported having used at least one illicit drug in the last 12 months. Cannabis was the most frequently used illicit drug—‘frequently’ being defined as using six times or more in the past 12 months. Overall, the survey found that the use of illicit drugs had dropped slightly amongst Ontario students aged Grades 7 to 12. However, the number of students binge drinking, defined as consuming five or more alcoholic beverages on one occasion, had increased. Furthermore, the prevalence of binge drinking rises significantly in relation to age—an overwhelming 42.5 percent of Grade 12 students, versus 3.4 percent of Grade 7 students. The consumption of alcohol follows this same trend, with 31 percent of Grade 7 students consuming alcohol versus 82 percent of Grade 12 students. At Sobriety Home, we keep up-to-date on all the latest drug use and addiction research so that we can offer the best treatment. New research allows a better understanding of alcoholism and drug addiction, resulting in better counseling, treatment, and aftercare, and, ultimately, a more successful recovery process.